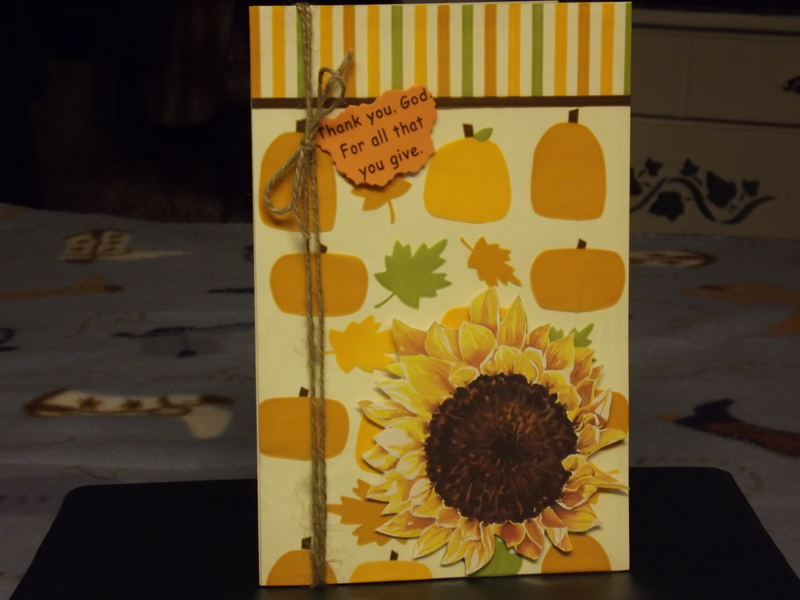 This is the card I entered in My Craft Spot Monday Challenge # 76. This challenge was to make a Thanksgiving card. Thank you, I enjoy your site as well. Thanks for stopping. Have a great day. What a wonderful card – and such a clever way to create the background!! The sentiment is perfect and so very fitting too. Thank you for your comment and for stopping by. I was looking through a box of stuff for baking and came across those bags and said “Hey that might work” and it did. Thanks for liking it! Have a happy day! This is so pretty! I love all the little pumpkins in the background. Thanks for playing at My Craft Spot. Thank you so much. I used one of those bakery bags for snacks or candy. I just opened the bottom and cut up the back seam and taped it to the back of a piece of cardstock and then mounted it to the front of my card. Then decorated the rest of it. Thanks for stopping by and commenting.